As a result of repeated outages, millions of Venezuelans have suffered increasing shortages of basic supplies and services or have lost water completely in the past two weeks. Two major blackouts have triggered a widespread water crisis across Venezuela. In the wake of repeated outages, roughly 20 million people (two-thirds of the country&apos;s population) have experienced water shortages in the last two weeks, according to the Washington Post. 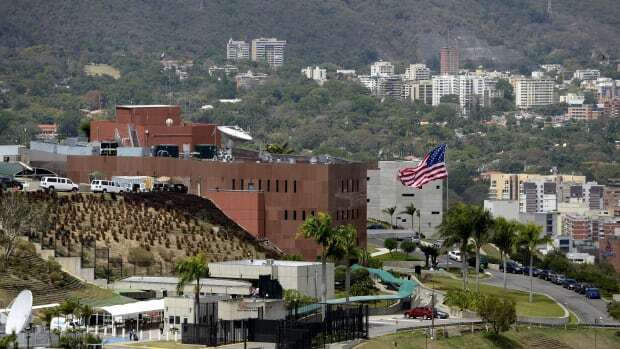 As a result, some Venezuelans are resorting to contaminated water sources, which has led to a rise in diarrhea, typhoid fever, and hepatitis A, Maria Eugenia Landaeta, who heads the infectious-disease department at the University Hospital of Caracas, told the Post. 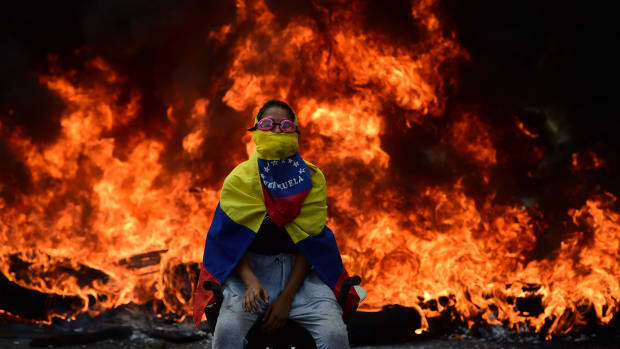 The South American country has been experiencing economic collapse amid an ongoing political struggle between President Nicolás Maduro and opposition leader Juan Guaidó. United States oil sanctions began in January and have sharply curbed the nation&apos;s profits, which previously came almost entirely from oil revenue. 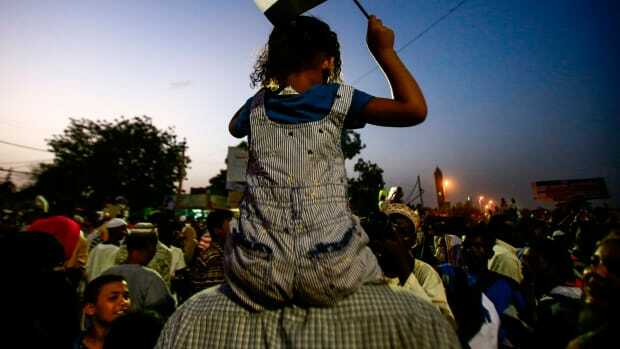 The persistent outages have only amplified the political conflict. While Venezuela has experienced water shortages before, the country has never experienced repeated water crises of this magnitude. Medical services, public transportation, and schools have all been drastically impacted by the continued outages. 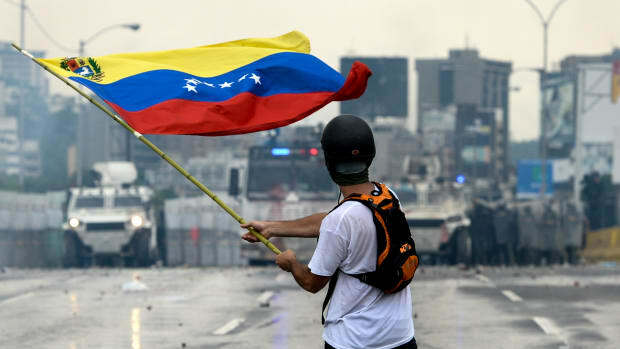 Maduro has blamed Venezuela&apos;s recent struggles on "sabotage by the opposition and its U.S. backers," who he believes are trying to undermine his government, according to the Post. U.S. officials and the Venezuelan opposition point to decades of "mismanagement and corruption" under Maduro and his predecessor, Hugo Chávez. 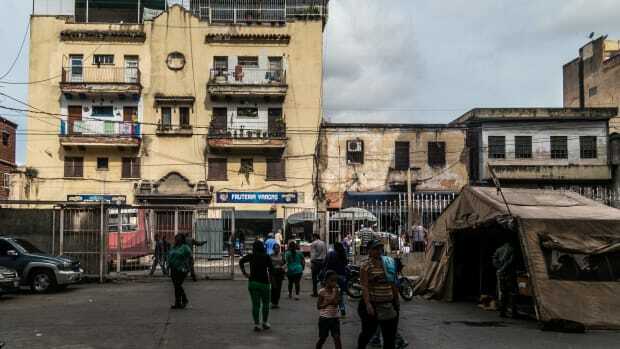 And while the accusations mount, basic items and services such as food, medical supplies, and, now, water, are quickly dwindling for the people of Venezuela. 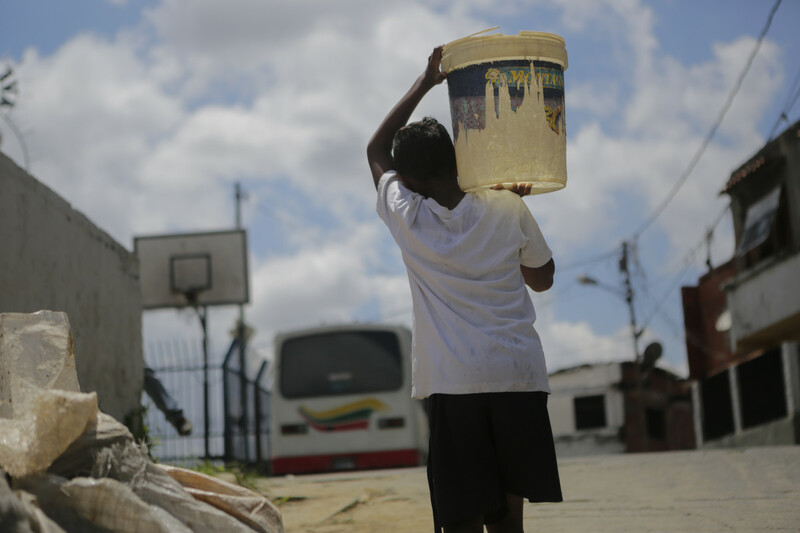 A child carries a container filled with water at the slum of Petare, on April 4th, 2019, in Caracas, Venezuela. Since March 7th, Venezuela has been suffering intermittent blackouts, which have affected the water supply. People have to collect water from waterfalls and pipes and carry it to their homes. This water, not always suitable for human consumption, is used for drinking, cooking, and bathing. 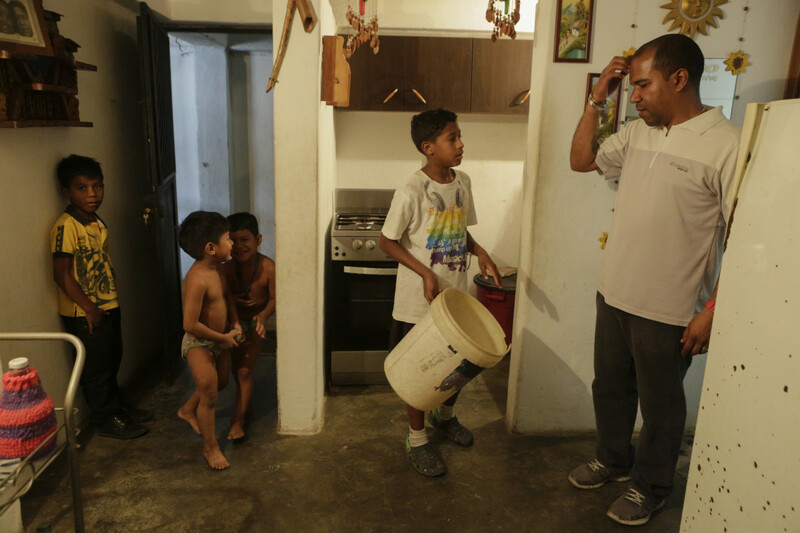 A man talks with children at his home, at the slum of Petare, on April 4th, 2019, in Caracas, Venezuela. 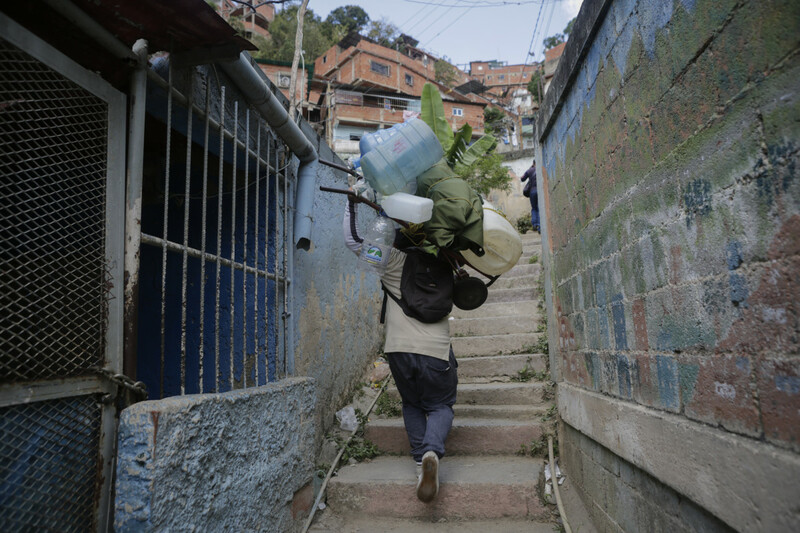 Eduardo Romero, a barber and pastry cook, leaves his parents&apos; house carrying empty containers that he will fill with water at his home, at the slum of Petare, on April 4th, 2019, in Caracas, Venezuela. 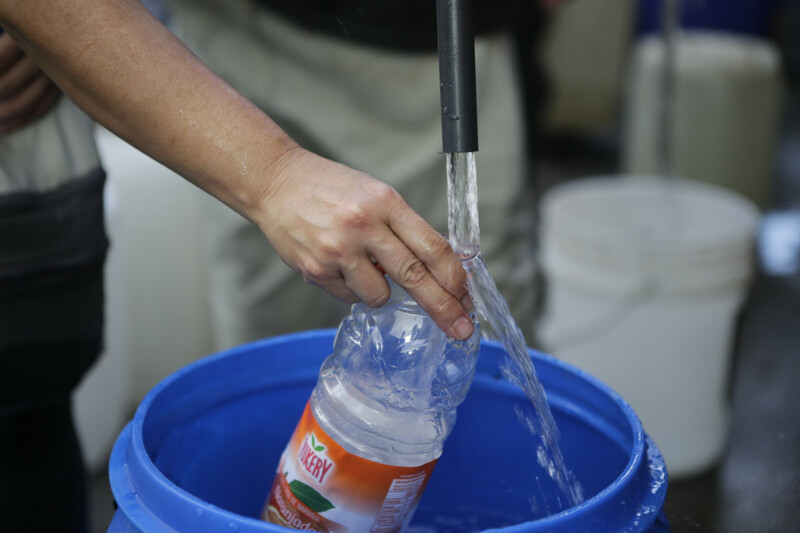 A bottle is being filled with water from tanks in a service area organized to help the community by the Ministry of Popular Power for Ecosocialism and Waters in Parque del Este, on April 4th, 2019 in Caracas, Venezuela. 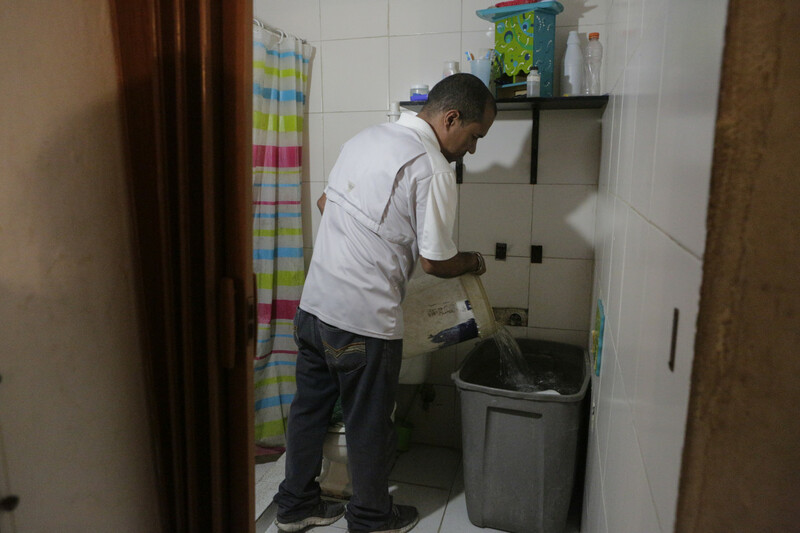 A man fills a container with water at the slum of Petare, on April 4th, 2019, in Caracas, Venezuela. 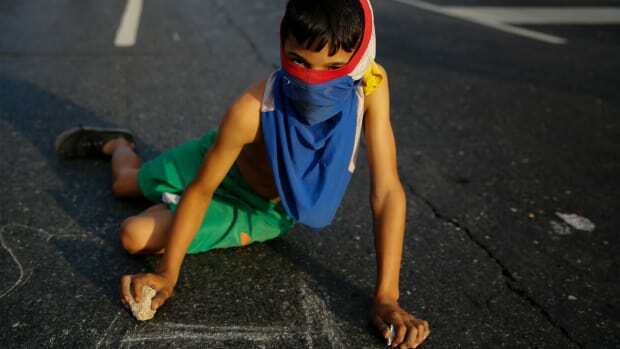 What&apos;s Behind the Political Unrest In Venezuela?